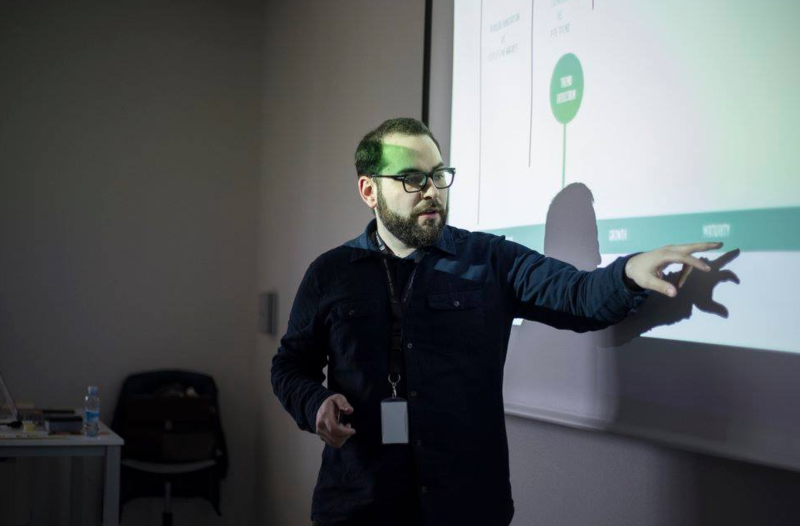 As Design Strategy Director at DOT S.Coop, Oskar is focused on helping companies in their innovation management, portfolio development, market positioning strategies, trend identification, customer experience, product design and the creation of meaningful brands. As an industrial designer he is devoted to those little big details that make the difference. He always looks for ways of innovating on products and services while understanding trends. He has been involved in several projects for companies like Eroski, Iberdrola, Suez Water – Aguas de Barcelona, Pernod Ricard, Obe Hettich, Bellota and Orbea. He has a great strategic thinking ability to listen and interpret what each single company and brand needs. His empathy for their challenges and aspirations enables him to craft custom solutions unique and fitting both in character and content. He asks sensible yet challenging questions which always push the content further and lift projects and clients to a new level. Over the last years he has won a deep expertise applying design methods at the food and culinary industries. He has become a well respected lecturer at different courses and master programs at the Basque Culinary Center, a pioneering academic institution worldwide. As passionate foodie, Oskar loves reading and researching on the internet, local markets and kiosks about all thing gastronomical, spending more money than he should at restaurants and bookstores, and getting his hands dirty in the kitchen (less than he should, his coworkers they say). That’s why he particularly enjoy DOT’s food related projects like the design of the brand new Queca Sangria Premium by Pernod Ricard or the design of restaurants like Sturios, Makatzeta and Etarte between others.